“MELINEX®” 226 Film for the Electrical Industry – Imavolt S.A.
“Melinex” 226 is a polyester film specially suited for use in the electric industry. It is suitable as insulator of armature windings and as interface insulator of electric motors and generators. Besides mechanical and termal characteristics of general types of polyester films, “Melinex” 226 has great advantages of higher tensile strength and opacity. “Melinex” 226 is very tough. It does not crack when sharply bent. It can be “overlapped” in armature slots and closures, either by hand or by “Statomat”-type automatic machines. Due to “Melinex” 226 white colour, assembly of windings and position of individual fibers in relation with the film are clearly seen, permitting quick and accurate inspection of windings and reducing manufacturing errors. Electric properties of “Melinex” 226 are excellent. This film has a high insulation resistance. Because of this and of the fact that it hardly absorbs water and does not have any plasticizer which could migrate from the film, it can be used without backing in low voltage motors, and in ones with several dozens of HP. For very big motors, and for some smaller ones, in which irregularities in the slots could cause flaws in the unbacked film, gage 200 splittings are preferred as well as prespan type calendering paper – “Leatheroid” or “Elephantide”; thus the problem is solved. Irregularities in slots are placed in the paper and “Melinex” insulation is protected. In accelerated ageing tests at high temperatures, it has been evidenced that “Melinex” 226 work life is as good as work life of ordinary kinds of polyester tape, and even better. “Melinex” 226 can be used at temperatures as low as –70ºC without embrittlement. It is suitable for use in refrigerators, and can be dipped in refrigerants such as “Arcton” 12 or “Arcton” 22, provided that the refrigerant system does not have primary alcohols as antifreezing additives, and that they do not undergo excessive temperatures. 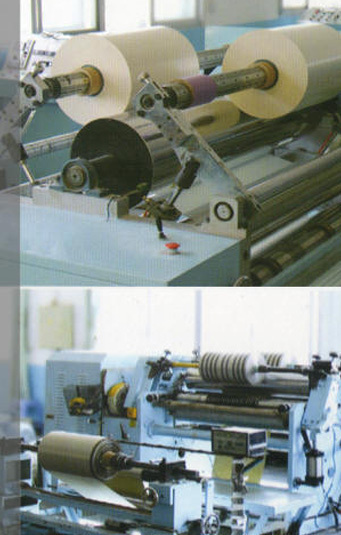 Polyester films are classified as class E insulating materials (120ºC). “Melinex” 226 used on its own belongs to this category, but when the insulating system is conveniently impregnated with high temperature insulating varnish, classification turns to class B (130ºC) and even higher. “Melinex” 226 is chemically compatible with most impregnating varnishes, mostly with those based on terephthalate or isophthalate polyester resins. If phenolic varnishes are used, they must be totally cured and not prone to degrading in working conditions, by discharging phenols or cresols, which could attack “Melinex” and reduce its life. “Melinex” 226 film is available in thicknesses of 125, 190 and 250 micras, (gage 500, 750 and 1000), from 6mm to wide in 1mm increments. ASTM 882-64T at 20ºC, at a deformation rate of 50% min. At 20ºC, at a deformation rate of 10% min. and elongation of 1%. Class E (120ºC) without backing. It can be risen to Class B (130ºC) and higher with proper impregnation. Flexible circuits with both-face treatment. Better adhesion of varnish. It is a film composed of polyester (polytherephthalate of polyethylene glycol) coated on both faces by a fake polyester fiber cloth (woven or non-woven). The composition of polyester cloth on both faces derives from a test performed twenty years ago by Siemens. By means of this test, it was discovered that polyester film on its own, when in contact with air, corresponds only to thermal class “B” (130ºC) of continuous thermal load; besides, from a 3000V voltage, corona effect starts to be produced, thus reducing its dielectric values. However, it was established that said film has different characteristics if it is coated with resins and it does not come into contact with air. Resistance to continuous thermal load of the film rises up to class F insulation, and no more corona effect is produced. – It avoids accelerated ageing of polyester film, thus improving its themal, mechanical and electric characteristics. – It facilitates impregnation of insulating varnish. – Thanks to its rough surface, it avoids creeping of winding wires. Insulation for slots, inter-phase spacers, dry-type power transformers. From 0.15mm to 0.50mm with 0.05mm increments per type. 800mm wide and 10 to 12 kg weight coils. This product has the format of a composite which contains two external layers of Nomex and an internal layer of Mylar bond by a class F addhesive. Its commonest application is as an inter-phase spacer and in slots. It can be cut in tapes and it can be used in insulation of coil heads. 915mm wide and 50 kg weight rolls. It is manufactured pre-preg with epoxy resin.